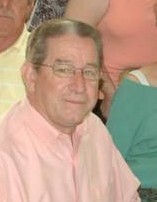 ROSEDALE - Allen Chandler Robison, age 66, of Rosedale, MS. Went to be with his Savior on Wednesday, January 30, 2019 at the home of his daughter in Mooreville, MS.
Visitation will be held Saturday, February 2, 2019 from 9:00 AM to 11:00 AM at the Cleveland Funeral Home in Cleveland. Graveside Celebration of Life Services will be held 2:00 PM Saturday, February 2, 2019 at Linn Baptist Church Cemetery in Linn, MS. Reverend Jason Bridges will officiate the service. Allen was born on November 18, 1952 to Bilbo and Gracie Lee (Hodges) Robison in Ruleville, MS. He grew up in the Linn Community and Graduated Ruleville, High School. He also attended the Southwest Baptist College in Bolivar, TN. He married Geneva Ann Tisdell on March 10, 1972 in Linn, MS. They raised 3 daughters as they served the Lord in various churches, ministering to each congregation sharing the love of God. Outside his ministry, Allen enjoyed fishing, hunting and taking care of his many animals. Allen was very devoted to his family always enjoying spending his time with grandchildren and his brothers, sisters and extended family. He is survived by Wife of 46 years, Geneva Ann Robison of Rosedale, MS. 3 daughters, Sha Madden (Shane) of Milton, FL, Beth Benjamin (Michael) of Saltillo, MS and LeeAnn Rutledge (Nicky) of Mooreville, MS. 6 Siblings, Billie Keeton of Mantachie, MS, Leroy Robison (Faye) of Moorhead, MS, Charlotte Vance (Willard) of Guntown, MS, Shirley Creekmore (Ricky) of Philadelphia, MS, Nancy Milam (William) of Milton, FL and Debbie Jefcoat (Glen) of Tupelo, MS. 8 grandchildren, Ashley Baker, Brandon Madden, Brittany Madden, Bella Benjamin, Megan Benjamin, Lizzie Rutledge, Destiny Rutledge and Alstin Rutledge. 4 great grandchildren, Jayden Baker, Miley Hough, Carson Madden and Chandler Imel. He also leaves a host of nieces and nephews to cherish his memory. Pallbearers are the Deacons of First Baptist Church Rosedale; H. M. Chenault, George Scott, Ray Travis and J.M Tweedle, 2 Nephews, Lee Robison and Chase Jefcoat. Cleveland Funeral Home is in charge of arrangements. The on-line guest register may be viewed and signed at www.clevelandfuneralhome.net.